The Brecon Beacons National Park is home to some of the most beautiful scenery in South Wales, full of grassy moorland, tranquil reservoirs, stunning waterfalls and high mountain plateaus. There are four distinct regions within the National Park. Mynydd Du; the most westerly and most remote section of the park, Fforest Fawr; a series of isolated hills, the Brecon Beacons; home to the highest peak in South Wales – Pen y Fan and then the Black Mountains; a group of old red sandstone hills. 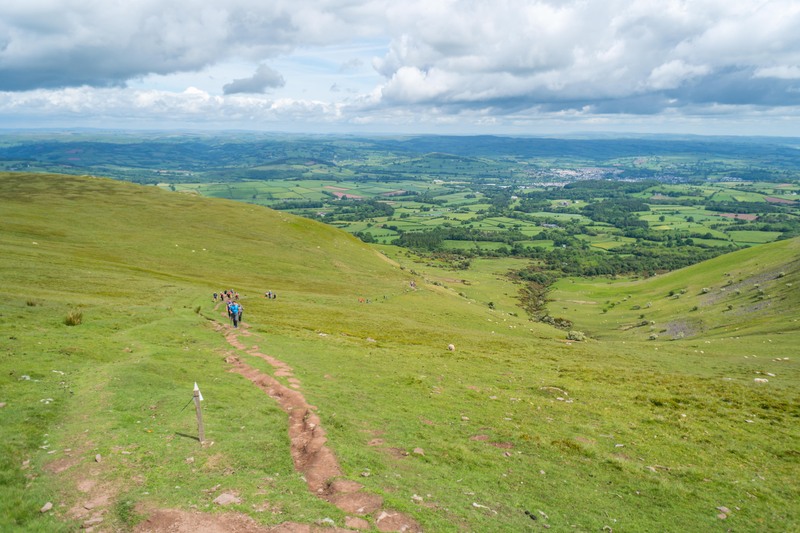 The Brecon Beacons National Park is the perfect location if you love the outdoors, with an array of different trails for walkers, runners, mountain bikers and cyclists. It is the perfect location for the ultimate trekking challenge! 1. The Brecon Beacons National Park covers an incredible 520 square miles of South and Mid Wales, with two thirds of this area being comprised of old red sandstone rocks. 2. The National Park was established in 1957 – and was one of the first ten area’s in Britain to be given such status. 3. The highest point in the Brecon Beacons National Park is Pen y Fan; which is also the highest peak in South Britain at 886m and one of the most popular hikes in the area. Reaching the summit of Pen y Fan is a highlight of our TrekFest The Beacons challenge! 4. The National Park is made up of several areas in Wales including Powys, Carmarthenshire, Monmouthshire, Rhondda Cynon Taff, Merthyr Tydfil, Blaenau Gwent and Torfaen! 5. The SAS use the Brecon Beacons as one of their training grounds, due to its remoteness and harsh, unpredictable weather conditions. 6. The Brecon Beacons National Park is an International Dark Sky Reserve, with an outstanding quality of night sky. This status was given in 2013 and was only the fifth location in the world to be given this status (and the first in Wales!). 7. 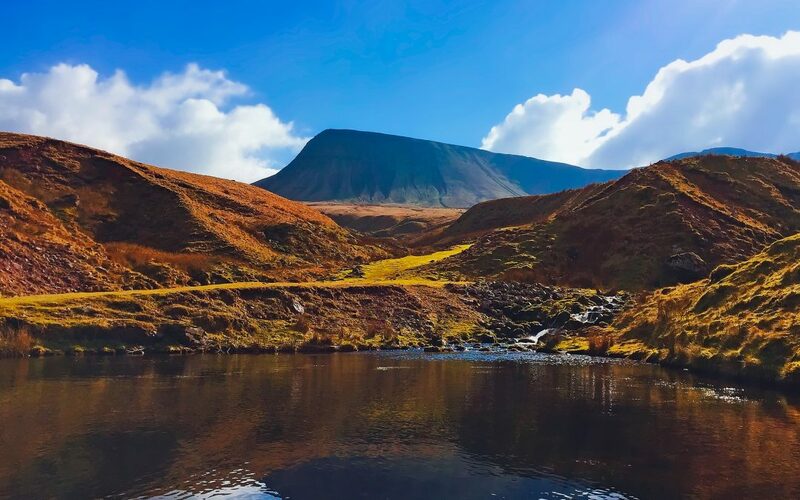 The Brecon Beacons is home to Llyn Cwm Llwch – the best preserved glacial lake in South Wales and another highlight of our TrekFest The Beacons route! 8. Fforest Fawr Geopark was established in 2005 – the first European Geopark in Wales, due to its geological significance. The area is recognised for its spectacular landscapes demonstrating ancient climate change, mountain building and sea level changes – with the hills and valleys being marked by glaciers from the Ice Ages. 9. In 2000 the area around Blaenavon was declared a UNESCO World Heritage Site, in recognition of it’s driving force during the Industrial Revolution. 10. And last, but not least … The Batcave entrance from The Dark Knight Rises is located at Henrhyd Falls, the tallest waterfall in the Brecon Beacons National Park. 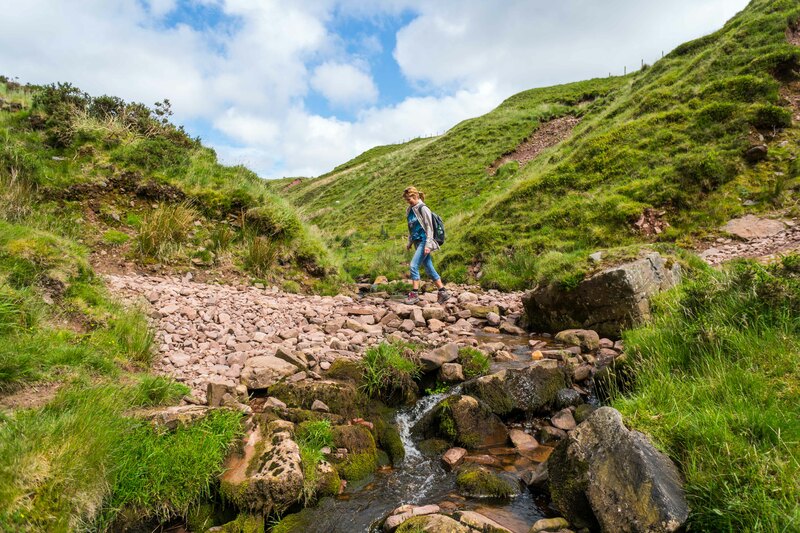 Discover the beauty of the Brecon Beacons first hand and take on TrekFest The Beacons 2019! Challenge yourself to either the 25km or 50km route; both will test your limits with challenging climbs and descents – but will also demonstrate just how incredible and diverse this National Park is! Join us on Saturday July 6th 2019!